Sometimes a merging of the centuries just works. This beautiful Parisian apartment full of period details has been brought up to date with a sympathetic restoration and rooms full of retroinspired wallpaper designs and mid-century furniture. It now perfectly suits the lifestyle of a young family and is full of light, colour and designer details. The colour palette has been kept neutral in the light-filled living room while the warm herringbone floor and blue chairs sing out. Curtains have been kept plain so as not to distract the eye away from the geometric rug and the modern details in the room. The elaborate marble fireplace and gilt mirror provide quite a contrast against the modern furnishings. The narrow galley kitchen is not short on impact thanks to the boldly coloured tiles and modern lighting. Whilst a modest breakfast bar provides extra work space and a handy place to perch for breakfast. 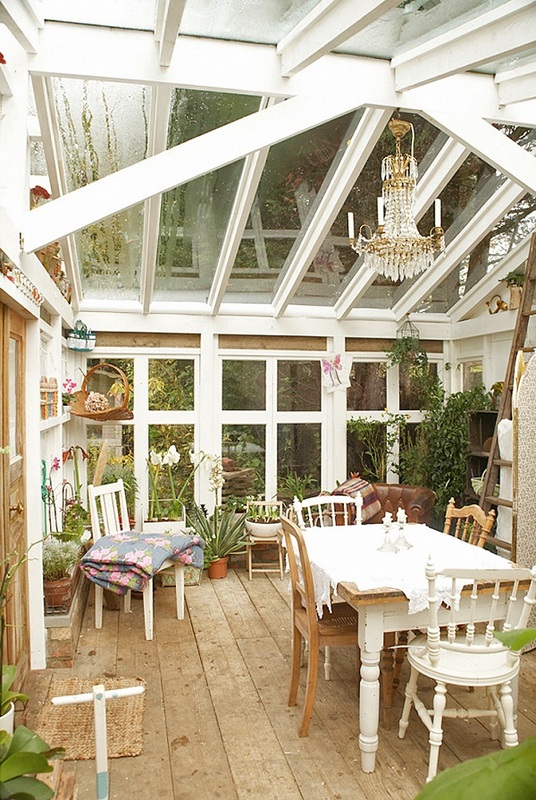 In order to get light into the kitchen a window has been inserted between this room and the dining room next door. This also connects the two rooms visually so that the cook does not feel isolated when entertaining. The colour palette in the dining room picks out the yellow, grey and black from the kitchen tiles in the adjoining room. The highly polished wooden floors flow throughout the apartment connecting all of the spaces and the retro inspired wallpaper is also another recurring theme. Architecture and Design by Prisca Pellerin. Extract from ‘Renovate Innovate: Reclaimed and Upcycled Homes’ by Antonia Edwards, published by Prestel. Tiny House by Jessica Helgerson Interior Design. Tall, high-efficiency windows come right down to sofa level, letting in maximum light. Jessica Helgerson is a Portland-based designer of residential and commercial interiors. With a long-standing interest in green building and sustainability, she has sat on a number of boards devoted to environmental preservation. In 2008, Helgerson and her husband bought a 540-square-foot cottage on five acres of farmland on Sauvie Island, an agricultural landmass on the Columbia River just north of Portland. The cottage was first built in the early 1940's as part of Vanport Village, a development constructed to house shipyard workers from Vancouver in Washington and Portland. When Vanport Village flooded in 1948, the small structure floated down the river to Sauvie Island, where it became the goose check station (a place where hunters would showcase the geese they had shot). Years later, it was remodeled and became a rental property. One addition to the 1940s Tiny House was a green roof, which was planted with moss and ferns gathered from the Columbia River gorge. The walls were insulated, then faced in reclaimed wood siding from a barn that had been deconstructed onsite. Given its small footprint, Helgerson redesigned the interior of Tiny House for maximum efficiency, creating one open-plan room that comprises the dining room, living room and kitchen. This room also contains built-in sofas that double as twin beds for guests, and hidden storage underneath provides an ideal place for children’s toys. The ceiling of the main living area was opened up to give a feeling of space, but lowered over the bathroom and bedroom to make a lofted sleeping area for adults accessed via a walnut ladder. A wall of shelving provides plenty of room for books and large, low-set windows bring ample light into the interior. One wall contains the kitchen, maximizing the available space. The parents’ bedroom is located on the mezzanine level of the main room, which is lined with vintage Moroccan Beni Ourain rugs and accessed via a walnut ladder. In addition to a separate kids’ bedroom, the built-in sofas double up as beds for guests. The family spent four years living in the cottage. Raising chickens, turkeys and bees, they have worked towards self-sufficiency, with nearly everything they eat grown at home. A 1,200-square-foot greenhouse on the site houses vegetable gardens and fruit trees, and they’re even able to make cheese from a neighbour’s goats and cows. They now live in a larger house on the same property, making the cottage the perfect place for relatives and friends to stay. How do you fancy a 240 m2 penthouse, with a spectacular open-plan living space on the upper floor and stunning views over the Thames? This penthouse is arranged over the top two floors of a prominent high-rise residential development, originally designed by Lifschutz Davidson Sandilands, and now dramatically reconfigured by FORMstudio. The former arrangement ignored the spatial potential offered by the distinctive, soaring wing roof and the spectacular wrap-around views over the river and to the City beyond. Now, from the entrance, a view of the river draws the visitor forward into a double height space, from which an elegantly detailed stairway leads upward, revealing the impressively spacious open-plan dining and living area above. On the lower level, a spectacular river-facing master bedroom suite, includes a floor-to ceiling glazed oriel window cantilevered out over the water and equipped with a rotating Citterio-designed circular sofa, to exploit the Canaletto-like panoramic view. There are also two further bedroom suites. The generous upper floor space features areas for sitting, dining/cooking and working without the need for dividing walls. The raised level of this living space has dramatically improved the river view from a sitting position and created access to the beautiful terrace. We think we could be very happy here. Who wants to be roomies? Doing their bit to address the need for private rentals in London, LPC Living, an award winning developer specialising in urban regeneration, have developed 22 brand new design-led homes in Finsbury Park. Fonthill Mews is set in a historic mews and former coach house, and is the perfect retreat for city dwellers, with bespoke one and two bed properties each with their own unique features. The private gated development is creative and modern whilst still retaining an array of traditional features. A mix of natural materials, custom made fittings and industrial fixtures are found throughout the development. While each property has a stylish open plan concept, formulated by the architect to create a sense of free flowing space. Intimate corners for cosy nights and larger areas for gatherings are equally manageable in the versatile spaces. A selection of the homes have a movable kitchen island unit, which can be pushed to one side to alter the shape and atmosphere of the room. Party! We're thinking. And the kitchen cabinets vary from chalky grey-greens to blues and charcoals, adorned with smooth white and light grey marble worktops. Large windows allow natural light to flood through each house and apartment. Many of the houses feature large glass doors that open out onto large decked terraces from the master bedrooms, overlooking the serpentine communal gardens. A neutral palette is used throughout; whitewashed American oak lines the floors whilst the walls are dip-dyed with neutral shades. As if that wasn't enough, a handful of the properties make excellent live/work spaces, with spacious annexes lit by skylights with unobstructed views of the sky providing an impressive amount of additional space. Two of the properties harbour secret rooftop terraces, flanked with climbing vine and benefiting from pretty views of trees and neighbouring rooftops. Now available to rent, contact Lettings Manager Alex Reach to book your viewing. Fonthill Mews is a new project by LPC Living and was created in conjunction with site designer, Mike Baxter and is marketed exclusively by Davies & Davies Estate Agents. The brand identity for the development and all marketing materials have been created by design and communications studio, The Barefaced Movement. We're always delighted when we find an interesting house renovation project in our in-box. This stunning house built in 1782 in a Georgian Crescent in Bath was sent to us by Claire Rendall interiors and of course we couldn't wait to find out more. 1. What was the client brief? The house when it was bought was a classic “how not to treat a historic property,” so the brief was to bring it back to life. As many people do, the house had been hermetically sealed and was suffering badly as a result. All the fireplaces were blocked up, synthetic fitted carpets clung to every room. All walls were covered with wood-chip wallpaper and painted, secondary double glazing panels covered all of the windows. Plastic shuttering attempted to keep water out of the basement but merely kept any damp in. All the pretty plasterwork was thick with many years of paint. 2. What improvements have you made? The first thing was to allow the house to breath. Soggy fitted carpets were removed. Secondary double glazing panels were taken out and windows rehung. Bricks were removed from the fireplaces and the basement plastic panels were removed. Rain water could now get in but most importantly it could escape too. We fitted an Aga in the basement kitchen and this encouraged air to circulate. Suddenly the house felt drier. It’s really important to think about how these houses were built and lived in. Unfortunately, in the 1960’s and 70’s the onus was on keeping moisture out and as a result a lot was trapped in. Now we understand the sense of breathable materials such as lime plaster and natural fibres for carpets. 3. What was the budget roughly? 4. What aspect of the renovation are you most happy with? It was a totally joy to reveal the delicate plaster mouldings. I tend not to get so upset now when I see plasterwork caked in paint because I know its protecting it. When we took the paint off the plasterwork was as crisp as the day it was fitted. We also stripped the thick gloss paint that was under the stair carpet revealing the beautiful original oak staircase, and when the spindles on the top floor were cleaned of years of thick chipped paint, I noticed that they were different sizes. I suspect that many parts of the house were recycled when it was built in the 1780’s. Certainly many of the timber beams in the basement had plugged holes showing that they had been used before, possibly as ships timbers or in other houses. I just love imagining where they had been. For this house, I wanted it to recapture its personality. An intimate Georgian House. It had a gentleness so I used soft duck egg blues, rich Indian rugs and French linen sheets for curtains. 6. What has been the clients' reaction to the finished project? Thrilled. It’s always lovely to find a dejected property and bring it to life. In many ways the transformation is more acute and therefore impressive. Extract from Life Unstyled by Emily Henson, published by Ryland Peters & Small. You'd never guess, but a mere five minutes' walk from this tranquil apartment is bustling Brixton Village, one of South London’s most vibrant areas. For six years now, Stephanie Zak and Ben Johnson have called this bijou flat their home, creating a stylish and calm haven in the centre of town. When Stephanie bought the flat – it was her first home – it was an unfinished shell and over the years she has transformed it into the cosy retreat it is today. A photographic shoot producer working mostly in interiors, she has clearly picked up a few pointers along the way and found the perfect balance between a styled and natural look. Ben is a music producer who often works from home, so it’s important that the flat is calming and inspiring, both of which are true. Despite its small size, a huge amount of personality has been packed into the living room. Shelves flank the chimney breast and another was added above the non-working fireplace to provide more surface space for this globe-trotting couple’s collections, largely picked up on their travels. Potted plants and vases of branches bring the room to life and last longer than cut flowers. Located one flight up in a 1930s red-brick block, the flat is petite – one small bedroom, an open-plan living room with a galley kitchen and a bathroom. The couple have added storage wherever possible: there are built-in units in the living room, a large mirrored wardrobe in the bedroom and stacks of vintage suitcases filled to the brim. Open shelving in both the living room and kitchen allows the couple’s style to shine through. The fireplace shelves display decorative items like small plants, pictures and books, while the cupboards beneath serve as a drinks cabinet and storage for extra glassware, candles, vases and other things they’d rather not have on show. Home and travel are priorities for Stephanie and Ben, who have found a way to combine their two passions. They rent out the flat to other travellers and the additional income they earn allows them to feed their insatiable desire to travel. Playing host has encouraged them to create order in their small home without sacrificing style. On display are cherished mementoes – photos, art and small collections – but care has also been taken to make it a well-functioning space so guests can find what they need. In the small galley kitchen just off the living room, storage is limited. Shelves are organised into cookbooks, pots/pans, dinnerware and glassware. A large framed poster hangs on the wall, adding further to the personality of the home. The flat is decorated with a charming mix of vintage finds, furniture found on the street and then refurbished, and accessories collected on their travels. The Moroccan wedding blanket on their bed was found in a souk in Marrakech and was a birthday gift from Ben to Stephanie, while the turquoise sari repurposed as bedroom curtains was picked up in Malaysia. Also thrown into the mix is artwork inherited from Stephanie’s Swiss grandparents and sculptures made by her sculptor mother. All in all, it makes for an enchanting home, the kind of place that compels you to stop and take it all in. In the small bedroom, every inch of space is put to good use. The windowsill is lined with small plants and gilt frames (above) and a very tight nook at the foot of the bed gets a wooden side table for dishes of jewellery and vases of flowers, with a dressmaker’s bust adding character and doubling as necklace storage (below). To make up for the lack of built-in storage, Stephanie collects vintage suitcases and stacks them along the wall to hold items that she doesn’t need to access frequently, such as off-season clothes (also below). I imagine you learn to be relaxed when you allow strangers to rent your home. You have little choice but to be chilled out about the fact that people are going to touch your stuff! And it shows in the sweetly laid-back way that Stephanie has styled, or rather not styled, her things. I particularly love the shelves flanking the fireplace, where all manner of odds and ends jostle for space – photobooth snaps, dried flowers and branches, candles and postcards. It feels special but not too precious and it feels alive, as if it’s constantly evolving, thanks to the inspiration that the couple bring back from each trip. 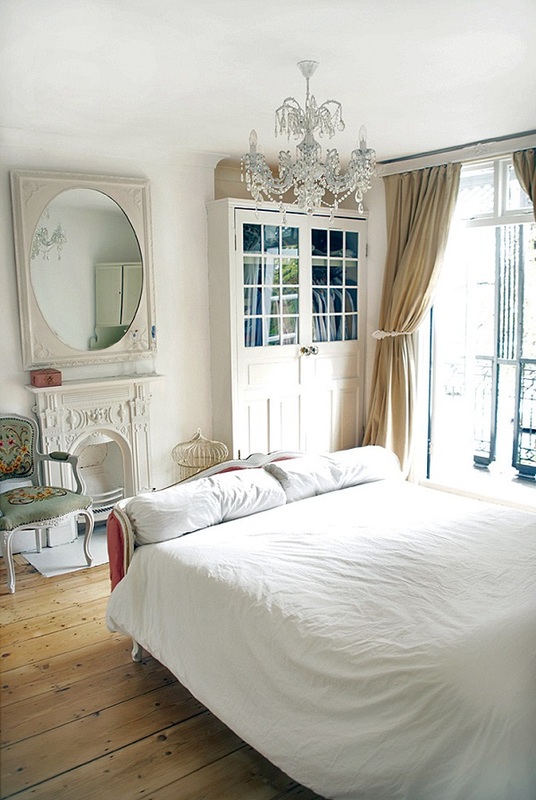 CREATIVITY BEFORE CONSUMPTION - The small bedroom features some great ideas. Life Unstyled by Emily Henson, published by Ryland Peters & Small. Nina Campbell is arguably the queen of 'quintessentially English' style. Her interiors are luxurious, yet warm and cosy. Layered, but somehow ordered. Full of life, pattern and colour, and yet comforting to the eye. Can you tell we're fans? When we were offered the chance to share with you some photographs of her London home AND share some of her words of wisdom, we said YES PLEASE. Enjoy. What makes a perfect interior? "You need to have a spark, a flash of something that seems a bit unplanned, all the while suiting your personality and remaining practical. There’s no point in having a showcase as a home – we all need to feel that it’s our own space when we close our door. Entertaining is one of my many passions so my perfect interior needs to be inviting for when I have guests round for lively, lengthy dinners." What tips do you have for creating the perfect interiors? "Your home is somewhere you can stamp your personality, be creative and make your own. Create the impression of space and grandeur by using some decorative tricks such as strategically placed mirrors, they reflect light and make the room feel larger. My ceilings are rather low, so I lacquered them, it adds an element of glamour to the room and makes the ceiling feel higher." What do you like about florals within your interior? "When I use floral motifs in my home, I like to play with scale. Smaller subtle pattern works well with upholstery and pretty decorative accessories. To create a sense of drama I use larger scale prints on wallpapers, pictures and prints." Why are hallways important? "The hallway sets the tone of the house and deserves to be considered as a space in its own right. It is a well-used room that people walk through continuously, and makes the first impression to your all of your guests." What is the inspiration behind your design? "My focus was on creating a personable living space for myself on the first floor. The upstairs is given over entirely to my bedroom, bathroom and walk in dressing area. I used the Penrose fabric from my own collection on the walls, it’s a very soft pale blue, pink and flowery all over. Not only is this a great alternative to wallpaper, but it adds warmth and texture whilst soundproofing the room." What are your favourite parts of the house? "My favourite element would be the chair I have in my bedroom. I can sit there and look through the window that overlooks the magnolia tree in the garden. You can barely see another house, only gardens, which is amazing for central London." The freelance photographer, interior stylist and design consultant Ilaria Chiaratti Bonomi talks about her property in Eindhoven. Throughout Ilaria Chiaratti Bonomi's semi-detached property in Eindhoven, Holland, is an array of crocheted cushions, blankets and decorations. The freelance photographer, interior stylist and design consultant, who contributes mainly to the Italian homes magazine Casa Facile, started crocheting home accessories when she moved from Italy to Holland in 2009. A year later, Ilaria started her blog, IDA Interior Lifestyle, where she writes about new trends, DIY tutorials, interior styling, her crochet makes and much more. In fact, following positive feedback to her crochet pieces she started her own Etsy store and this year she launched her own yarn shop. It was in 2012, in need of a bigger space to pursue her freelance career, that Ilaria and Alberto, her husband, moved from their 75sq metre apartment into the property you see here. “I can't say it was love at first sight – dark and heavy furniture, dull colours, and bland décor. But I saw great personality and potential with a lot of original details, such as the doors and the stained glass windows,” says Ilaria. Now, Ilaria refers to her home as 'the happy house' as she says it's fresh, young and represents who they are; She called her previous flat 'the blue apartment' because she decorated it in different shades of blue. The property is located in a residential area near the city centre. “Eindhoven is a nice and quiet city, the perfect size to live in. And, in the past years the city has been improved and now offers design spaces and an interesting cultural life,” says Ilaria. She describes her interior style is a mix of flea-market pieces, hand-made and design items. She finds interior inspiration through using Pinterest – she says she's a ‘Pinterest addict’ – and by reading blogs and magazines (online and print). Decorating the property is ongoing. “As an interior stylist I always have new ideas and, almost every week, I change the position of the objects and sometimes I even do big changes. Our friends are always curious to visit us because they know that every time there will be something different,” says Ilaria. This article originally appeared in the May 2014 issue of Heart Home magazine. This is one of the latest projects by London-based Design Company, Studio Ashby. Inspiration for the design of the penthouse was taken from the surrounding location and reflects the spirit of lively Soho and the modern art scene in London. It's so full of charm and personality we couldn't help but be drawn in. Interest has been introduced by filling the space with art, books, and personal mementos and by layering objects, furniture and lighting. There's also a liberal use of Liberty fabrics which is very apt as the famous London department store is just around the corner. We love the use of their peacock fabric on the headboard for example which is a great way to create a focal point in the bedroom. Continuing that thread of the avant-garde style of the arts and crafts movement, modern art is hung throughout the penthouse. Pieces by Jake Curtis, Brent Baker and Dave Watts add to the eclectic and vibrant interior, creating a sense of a real home filled with beautiful, cherished objects. "My home is referred to as an "artists work/live loft space" in Venice. It has an industrial feel with the high ceilings, cement floors and wire railings but since it is by the beach we wanted to add a more bohemian, colourful aspect to the decor. We wanted to make sure the white walls were filled with tons of artwork and that the furniture was cosy and inviting. We wanted to keep the room comfortable but needed to make the space a bit happier and vibrant! It is so gorgeous now. The chairs and couch are quite simple and chic, a bit more reflective of our lifestyle now." - Whitney Port. Safavieh Milton Side Table, £194.99. 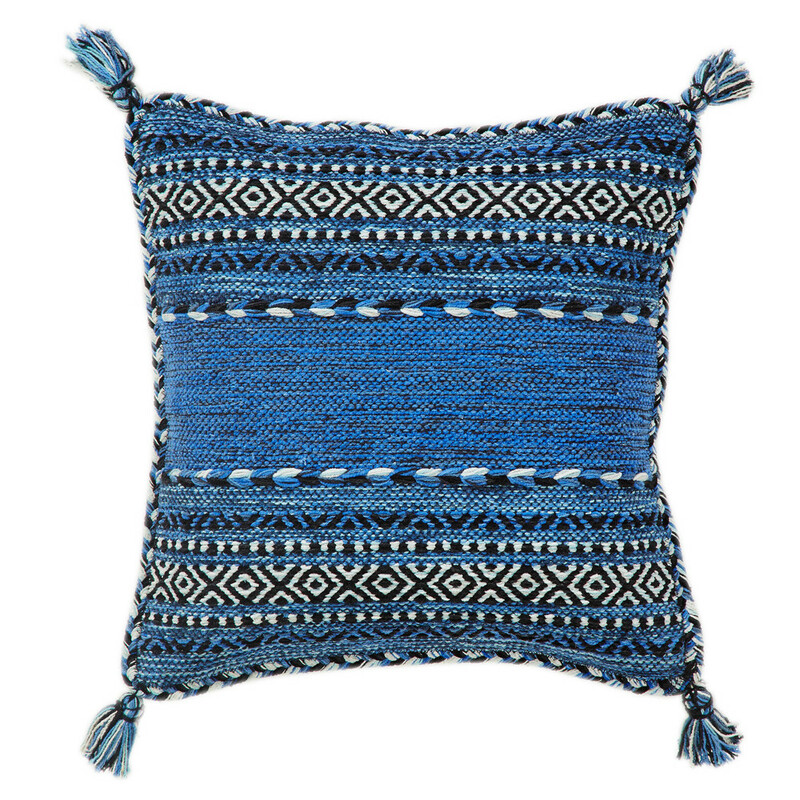 Kelim Cushion Cover, £28.99. 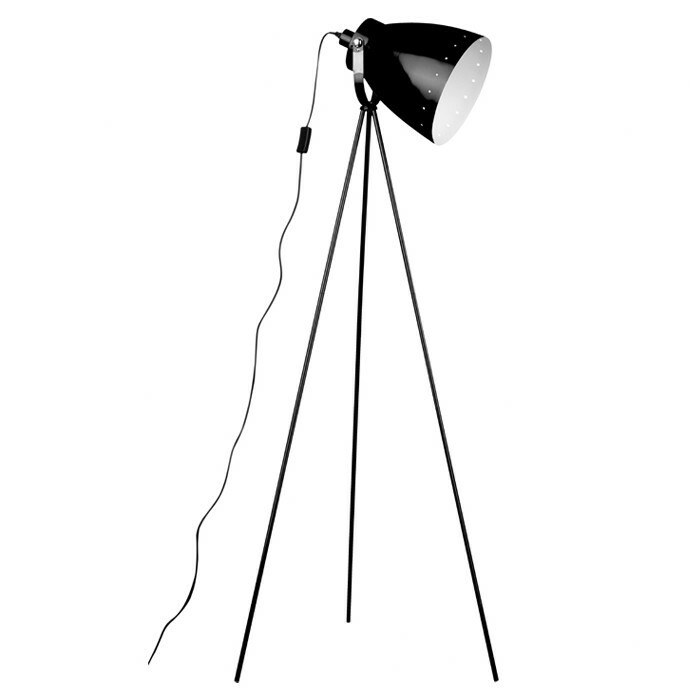 Tripod Floor Lamp, £54.99. "Bringing Whitney Port’s unique look to your home is all about capturing a sense of her lifestyle. With a home by the beach, Whitney’s apartment is filled with colourful, bohemian décor and vibrant touches. This look works perfectly against a light palette, which helps to stop a space from feeling too overcrowded. To capture the look in your home, try incorporating colourful, soft furnishings such as rugs, throws and cushions that offer a bohemian vibe." Brass Mirror, £69.99. Sideboard, £309.99. Palm Print, £19.99. "A crucial element of Whitney’s home style is her collection of eye-catching art work and memorabilia from her travels. This paints a story in your home and offers visitors a sense of the people who live there. Without over-crowding your space, add ornaments garnered from your travels to styled vignettes or consider creating a gallery wall of mismatched artwork—this is great for adding vibrancy to a neutral space and helps to inject a sense of your personality into your home." Solid Beech Wood Arm Chair, £359.99. Blue Rug, £315.17. Screen, £173.99. "The most endearing quality of Whitney’s apartment is the sense of airy brightness. In rooms which don’t have a great deal of natural light, opt for paint in a vibrant colour to bring a splash of life and luminosity to your space. Arrange white furniture against your painted walls to ensure the colour complements its surroundings rather than clashing with them. Botanical touches and fresh flowers are another brilliant way to bring life and luster to your space—display them in a beautiful vase or planter for that extra pop of style." Mother-of-three Sarah Szekeres lives in a five-bedroom, detached house in Caramel Valley, San Diego. The suburban area is just minutes from the beach and boasts nearby parks, schools, neighbourhood pools and open spaces. She shares the house with her husband Dave, a mergers and acquisitions attorney, and their children – Carson, five, Brooke, four, and Dylan, one. The couple enjoy living in San Diego: “the weather averages 70 degrees year round and we love the proximity to the beach as well as the laid back and friendly attitude of the residents,” says Sarah. They moved into the property in December 2012 attracted by its location – just ten blocks from their previous home which they still own and rent out – and given that the area was under development: “we wanted a neighbourhood with new home construction which allowed us to select the finishes on our home – cabinets, flooring, countertops, bathroom shower material – and the lot our home would be on,” she explains. They were especially taken with the walking trail and canyon that their lot backed onto – they now get ocean breezes in the backyard – and the floor plan which suited a family of five. On moving in, Sarah and Dave spent ten days improving the property including painting the whole interior, adding crown moulding, a bespoke master bedroom closet, white shutters and a custom garage. A month after, interior designer Cecily Mendell helped finish the kitchen and family room nook, living room, dining room, downstairs powder room and master bedroom. “She did a great job of nailing our style and then pushing us a little out of our comfort zone. She did a fabulous job and has impeccable style,” says Sarah. The modern decor of the new house is greatly different from Sarah and Dave’s previous property which was smaller and Spanish in architecture: “we had dark brown cabinetry and furniture throughout and light tumbled travertine flooring with light muted colours as accents,” explains Sarah. Currently they are in the process of finishing the backyard. The couple have spent $60,000 on improving the property. “We originally planned to spend $25,000 but the scope of the project more than doubled,” she explains. 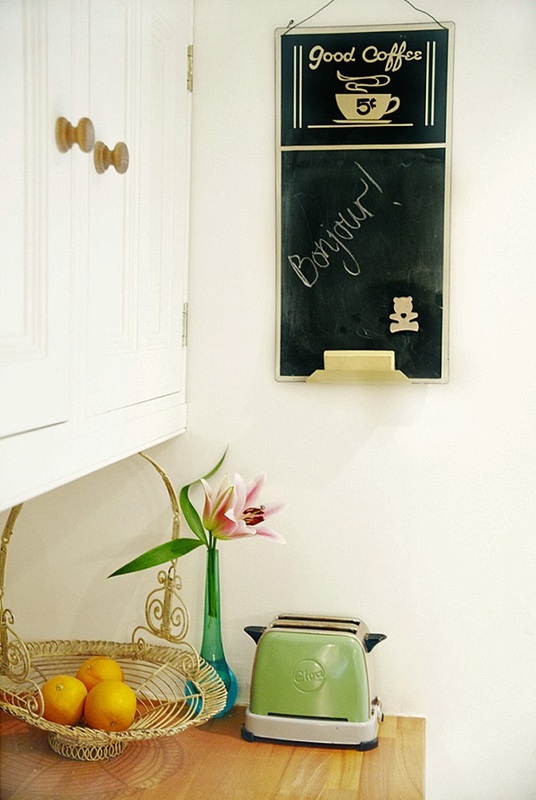 Sarah seeks interior inspiration from Pinterest and Houzz and favours online shops such as Serena & Lily and West Elm. This article originally appeared in the Autumn 2013 issue of Heart Home mag. This is the eclectic home of Justin Colombik and his partner Jason Sebacher. Justin is an interior designer who designs high-profile restaurants and hotels throughout the United States (currently he's working between Chicago and San Francisco)—as well as abroad. Jason has two jobs: he is a playwright—having produced and published plays all across the country—and manages the Department for English as a Second Language at Truman College. Their home is a condo on the top floor of a vintage four-story walkup. It's in the historic Andersonville neighborhood, on Chicago’s north side, a hop, skip, and a jump away from the lake. Consisting of one bedroom, a library (second bedroom/office), a living room, dining room, 2 foyers (front and back) and a back porch, they have lived there since 2013 and it's their first home together. Q. What attracted you to your home in the first place? A. The layout, the “bones,” and the neighborhood. Q. What improvements/decorating have you done? There was really a top-to-bottom renovation; other than moving walls (which we thankfully didn’t have to do) and the charming, old-world details that you just don’t see in new buildings (like the fittings and moldings), almost everything has been gutted to the studs, updated and/or cleaned-up. First, we had all of those vintage details restored and touched-up. Those were an important centerpiece to the design, and we wanted to make sure they shined. In every room we repaired and painted the walls, added period moldings and refinished the floors. The kitchen and bathroom were gutted. In the kitchen, we got new appliances suitable for a small space, cabinets, lighting fixtures. The kitchen has a convection microwave, which doubles a second oven. We configured the layout to increase storage, appliance size, and countertops with changing the size of the space we had or moving plumbing. We replaced the granite countertops with quartz. In the bathroom we updated the shower fixtures, replaced the vanity/countertop refinished the cast-iron tub, and added a stackable washer and dryer. In the bedroom there were these bizarre three-foot-deep, full-length mirrored closets that we moved a long with the wall and install custom full height built-in modern wardrobes with lighting. Q. What are you most proud of in your home? A. I really love how my partner and I blend our personal styles together to create our own style. Jason would be happiest if books covered every available wall and surface, and I am more of a layered minimalist. Together we created a smart, comfortable, interesting space that we both love—lots of rich textures and great art. Q. Are there any more improvements you wish to make in the future? A. I’d love to have a stair go directly to the roof so we could access the rooftop and create a roof-top garden. Q. Where do you get your inspiration from? A. Jason and I started with what we both loved, and with how we want to live. His incredible book collection was a design challenge that we also used. While I usually get my inspiration from fashion, pop-culture and architecture, for this project, I was inspired by us. A. To me the greatest beauty is simplicity. It’s a fine line to toe, and my style exists in the spaces of clean architectural lines, a connection to history, layers of textures, and meaningful stories. Q. Do you have any favourite shops/market? A. Many of the pieces in our home come from a design shop called Scout, which is a few blocks away. Amazing one of a kind finds! Q. Have you found any real bargains? A. When my grandparents moved from Illinois to become full-time Floridians, they gave me a lot of their furniture and art. Visiting the house was like walking through a Mad Men set; they have wonderful taste that has enhanced our homes design—as well as making it more connected to them. Q. Do you entertain often and how? A. Absolutely! We have a formal dining room that comfortably seats eight, and we like to fill it! Jason also has actors over for script readings. Q. What’s your favourite menu/music for entertaining? A. I love cooking, and work my way through interesting cookbooks I pick up—so it depends! That said, you can never go wrong with comfort food. Jason likes to put together the music for when we entertain; we both love the 80s, so there’s a lot of fun to be had. Q. Which is your favourite room and why? A. Personally, it’s the kitchen! I love to cook. With the great appliances, finishes, and layout, it’s such a pleasure. You can see more of Justin's work here and here. This four bedroom Georgian house, built in 1830 is on leafy Bromley Common and was one of the first houses built there as a hunting retreat for wealthy Londoners. Nowadays it is the home of Serge and Malin, and their children Maija 12, Elise 6, Emilio 4. Plus their 2 cats Pelle and Alfons. Malin is a photographer and location manager so it will come as no surprise that the house is available for shoots via 1st Option. And it is so full of photo-worthy opportunities that we couldn't wait to share it with you. 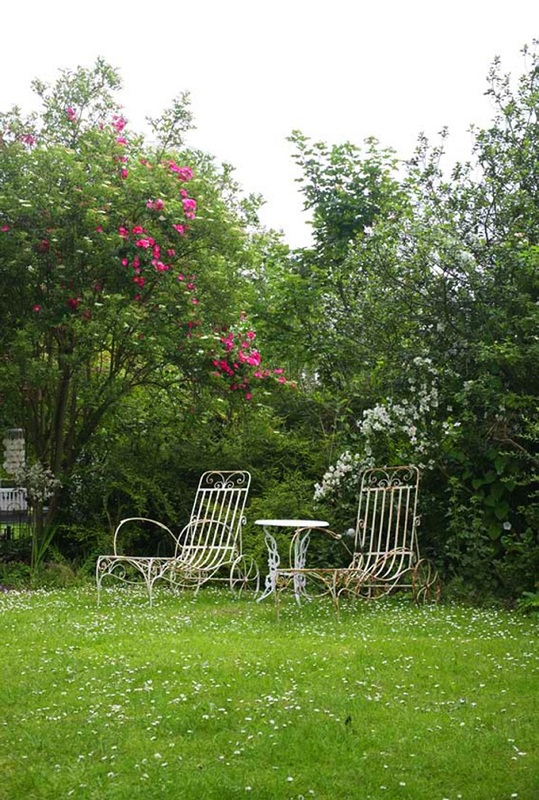 They have lived there now for 10 years (they also have a house in Sweden and one in France) and were first attracted by the fact that is was big enough to shoot in (or course), the style of the property (simply stunning), and the wonderful garden. The house has been completely renovated in the time they have been there, and when we asked Malin if they had any professional help she laughed “Tradesmen only, my husband and I are a good team, I drag the things I find and love home, place it somewhere where it is in the way for everyone, and he has the feng shui and places it all eventually!” Malin must be very good at this, as she designed and sourced the materials for the greenhouse herself. She describes her style as definitely mixed. She's inspired by her travels, her work and life itself. When she's not living that life you will find her on Pinterest. And her favourite shops are Graham and Green, made.com, tk max, antiques shops in Hastings and Whitstable and she also loves the Brocantes in France, loppis in Sweden and boot sales in the UK. “it's about picking up things that can't be replicated”. So here's hoping she doesn't mind if we pop round. This 4 storey 1970's townhouse in leafy Highgate, London, has recently been completely refurbished by LLI Design. The owners, a young professional couple, saw the huge potential in the house and wanted to embrace the 70's feel but not in a cliched way. The room sizes were good, being the full width of the property on each floor, and they benefited from natural light, but the circulation spaces were cramped and dark. The result is anything but cramped and dark however, and could teach us a few lessons on how to make the most of the space we have. The living/TV room is situated on the lower ground floor, where there is the least light, and where a rugged, semi-industrial feel has been created with brick effect wallpaper and metal furniture. The new open-tread staircase was designed to bring as much light to this area as possible and every inch of space has been utilised, including placing the TV under the stairs. A small work area has also been positioned in a corner of this room, making the most of the window, and with a large storage cupboard in which to hide paperwork and files. The ground floor consists of the sitting and dining areas and space has been maximised in both with the use of an L-shaped sofa in the living area and built-in banquet seating around the dining table. The visual impact of the new staircase was kept to a minimum by installing a glass balustrade with no handrail and strong pieces of artwork and graphic cushions help bring the separate zoned areas together to form a cohesive whole. Adding a round table, 2 dining chairs, a matt black accent pendant lamp over the table and artwork above helped to define the dining area. Although it has a small footprint it can comfortably sit 6 people. A small breakfast bar was added to the kitchen and dramatic dark bronze tiles created a backsplash between the top of the counter and the bottom of the units. The second floor was reconfigured from a series of separate rooms into a stylish master suite, with an open plan bathroom featuring a statement freestanding bath. This is a great space-saving plan as walls, doors and corridors all take up unnecessary square footage. The owners however, did want that WOW factor in the master suite, and this was achieved with textured porcelain wall tiles sitting easily next to the Cole & Son Fornasetti “Clouds” wallpaper, floor tiles in the bathroom that were in the format of a rug pattern and two striking bronze mirrors over the vanity unit. The project was recently awarded - Best Interior Design Private Residence London, in the United Kingdom Property Awards 2015 / 16. With all out thoughts now firmly on summer holidays, we couldn't resist showing you this beautiful, light-filled, holiday apartment in Barcelona. 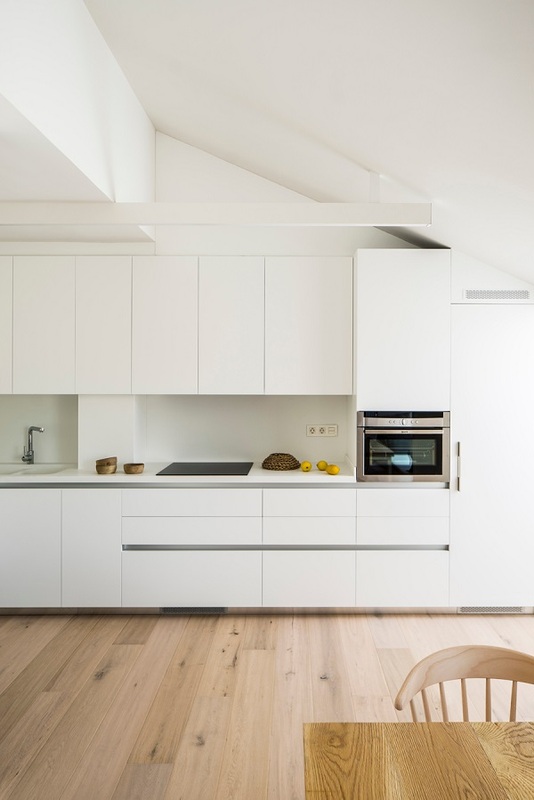 Designed by Susanna Cots Interior Design, the minimalist space and white walls are warmed by the wooden floor stretching the length of the apartment and by the wooden fenced outside space. We particularly love the window design and the way the deep frames provide seating both inside and out, whilst also flooding the interior with that gorgeous Spanish light. And the modern fireplace built into a corner is also a favourite feature - for those cooler evenings when you just want to cosy up inside. Henny Tate was brought up in the countryside by a mother who loves nature. Following in her footsteps she now lives in a country cottage in a small village in Wiltshire where she works as an interior designer. She discusses the inspiration behind her work and setting up a family home. Interior Designer Henny Tate lives in a stunning grade II listed house with her three young children and husband Rupert. They fell in love with the country cottage six years ago and decided to follow their hearts and buy the property, “We had no reason to move here whatsoever!” she laughs, “but we just loved the house”. Henny has maintained the character of the house beautifully when renovating and asserted her own style with quirky, and thrifty furnishings. Dotted around the home you can spot old church pews, re-upholstered chairs, a bargain sofa bought from her local auction house and, her favourite piece, a work top cleverly re-crafted from an old billiard table top - need I say more! From looking at the combination of cleverly put together crafts and objects it is clear that Henny has an inherent talent. Very few could inject touches of ethnic art and colourful textiles into a quintessential English country cottage quite so effortlessly. A quick delve into her background reveals where she gets her creative flare from. Her mother, Celia Lewis, is an artist and author whose published books, ‘The Illustrated Guide to Keeping Chickens’ and ‘The Illustrated Guide to Keeping Pigs’, are proudly placed on the coffee table. Celia’s illustrations can be seen on various cushions or table mats throughout the house and although she is not as big on nature as her Mother, it’s evident that the country theme is very close to Henny’s heart. Henny’s earthy background and love of all things wholesome have undoubtedly influenced her attitude to life and design. She places great emphasis on homemaking, and her penchant for cultural pieces, natural fabrics and up-cycling has proved the perfect recipe for creating a beautifully nurtured family home. This article originally appeared in the Summer 2012 issue of Heart Home mag. This modern apartment in Barcelona was designed by Susanna Cots Interior Design for two book lovers. We were struck by the clean white lines of the space and the contrasting wooden lacquered sheet that crosses the apartment vertically and horizontally creating an emotional and warm passageway. The starting point of the apartment is the centrally located dining room. The ceiling is dressed in wood that, at the same time, shapes the furniture that holds the TV and a fireplace. This wooden wrapping continues across the ceiling and separates the living and the water areas inside and outside. The wood even reaches the bedroom suite defining the sleeping area and finally becoming the bed head. As reading is a large part of the daily routine of the owners, the central area is surrounded by bookshelves and in addition the studio is fully integrated into the living room creating a corner flooded in light that faces the terrace. The bedroom suite includes a water area to evoke a relaxed feeling, with the bath next to the bed, and with a door system that turns the bath into a relaxing bench. The shower is flooded with natural light. Throughout, the rooms have been accessorised with black touches, such as shelves and decorative lamps, creating a further contrast against the white and wood surfaces. "Because white does not scare us, or make us feel blocked nor we are afraid of staining it. Because we do not want it to be related to trifles nor fashion crazes. Because we believe that the authenticity of white resides in its purity and brightness. Because this is the white we love." Susanna Cots. This 4th floor apartment is situated in a newly constructed building overlooking Covent Garden piazza. The owner called on Kitesgrove to help furnish it, and we love it so much we couldn't resist asking the designers a few nosy questions. We were engaged to completely furnish and dress our client’s newly built apartment. She wanted us to create a place of comforting respite from her demanding thespian and travel-heavy schedule. We were handed the project as a fitted shell requiring everything entirely new from tables, chairs and beds right through to tableware and thoughtfully selected accessories. We spent time sourcing original vintage furniture from the 1950's and 60's - in line with our client’s discerning design taste and our shared appreciation for authenticity. For this project our client had a strong and principled aesthetic vision for the space that nurtured an inspiring working relationship as we shared many sourcing trips to find unusual antiques and artwork together. Her theatrical background informed much of the design from mixing a vibrant colour palette to layering eclectic accessories. At Kitesgrove we have an attentive design approach which aims to deliver homes that truly reflect our clients’ lifestyle and wishes. We find that our most successful projects are born out of clients engaging closely in the process where we are able to capture their imagination and the inspiration is mutual. Having said that, we work on a number of development projects and are equally adept at designing for sale. In these cases we draw inspiration from the existing architecture and locality of the space. We take careful consideration of who we imagine might live there and often draw on fine art or a particular unusual piece of furniture or lighting to inspire a theme in the design. We prioritize natural materials and regard comfort and quality as central to our work. What has been the clients' reaction to the finished project? Initially the apartment was intended to be let for the periods of time our client was travelling. As she became increasingly involved and enamoured by the design she began to reject this idea feeling that it was all ‘too beautiful’ to allow just anyone to live there. Since the completion of the project, we have received emails of thanks reiterating how inspired and ‘at home’ she feels in the space. Forget everything you've ever known about student accommodation because a brand new development is launching in Newcastle, claiming to be the very best in the city and providing residents with a 'VIP student experience'. Plummer House boasts a chic in-house bar, with its very own ice machines, sound system and eye-catching décor, other facilities also include a private cinema, on-site gym and games room, and even a 24-hour concierge team to attend to every whim. There is even a 'cold room' which will take delivery of students' online food shopping if they are not at home to receive it. The original building was built in 1910 and is famous for hosting Tilley's tea dances in the ballroom. The original key period features have been retained including the beautiful dance floor which will provide the foundations for the inspirational new common room, wooden panelling, elegant cornicing, and full-height sash windows. And making the very most of the original high ceilings, many rooms will benefit from mezzanine levels and the wide variety of room types available range from individual studios to four-bedroom en-suites. Ensuring that there is something to suit each student and their individual circumstances, there is even a Presidential Suite for the truly discerning student! Priced from £20 per day, Collegiate AC is now taking booking for Plummer House and the property will welcome its first student residents in September. A shabby cottage on a sandy beach went from a weekend bolthole to a successful holiday let for one business-minded couple. A family trip to Camber Sands turned out to be about much more than just building sand castles for Rebecca and Mark Partridge and their three young boys, as they instantly fell in love with the area and decided to put down roots. However, it was Mark who saw the business potential in the property that they found to buy, just a stone’s throw from the beach, and he convinced Rebecca that they should let it out as a holiday home. Rebecca has worked hard to make the 1930s coastal cottage welcoming and comfortable for anyone wishing to rent it, a mission that has been aided by her other business venture back home in Brighton. 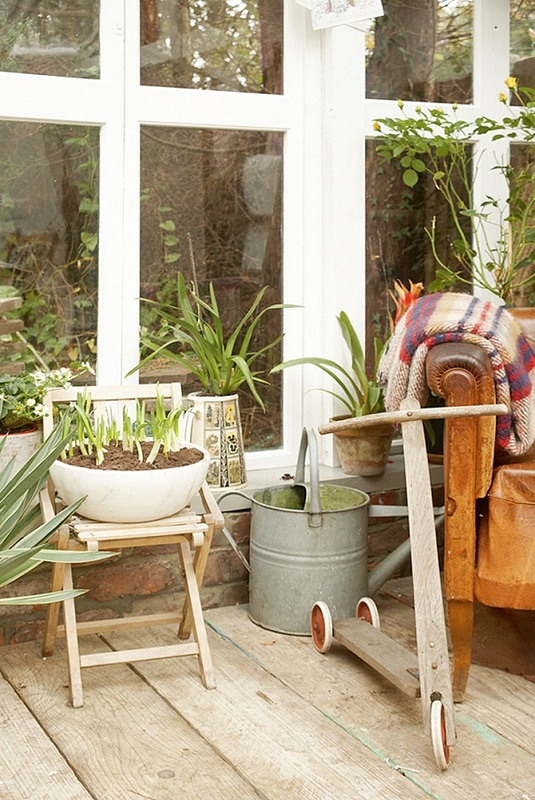 Along with business partner Jess Bird, Rebecca runs Nest, a company specialising in vintage children’s furniture. Now called Sandways, the cottage comfortably sleeps up to 11 people, with three double bedrooms, a children’s bedroom with bunk beds and a further sofa bed in the living room. Outside there is a large decking area and a fabulous garden, complete with donkeys braying in the field that backs on to it. 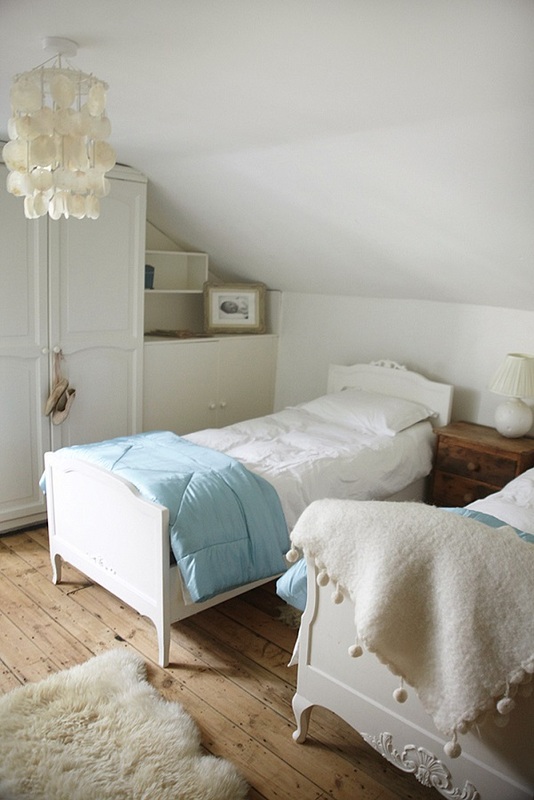 The clean white space is practical yet homely and a far cry from how Rebecca remembers it when they bought it. She says: “It was revolting. I just remember it all being brown, with UPVC windows and just absolutely tasteless. Rebecca and Mark restored the entire property, re-wiring, re-plumbing and re-cladding along the way. “The en-suite bathroom was just like a little folly, it wasn’t even built-in, just the framework was there,” remembers Rebecca. With the hard work complete, Sandways is the perfect base for families looking to make the most of what Camber Sands and its mile after mile of sandy beach has to offer. For more information about renting Sandways visit www.cambersandscottage.co.uk. Photographs: Simon Eldon. Words: Kelly Lavender.